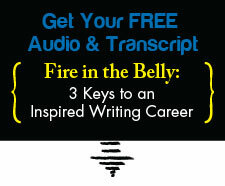 On Writing After Adversity | Writing & Book Coach | Marla Beck, M.F.A. Long before I moved to California, for nearly a decade in my late teens and early twenties, I struggled with a crippling clinical depression. My friends and classmates never knew my truth, for I worked hard to hide this pain. Inside, my reality felt two-dimensional and dim. On the outside though, most people thought of me as a bubbly, enthusiastic “joiner.” Despite my activities and accomplishments, I was often too unfocused and tired to take good care of myself, and for many years I carried an extra 10-15 pounds of weight. And oh, my — no time was worse for me than the spring! Amidst the color and bloom of the vibrant earth reawakening after winter, I snuffled constantly from East-Coast allergies, glimpsing the world through my dull filter of black, white and grey. Why do I share this with you today? Because many writers I work with come to me in a state of “awakening.” Like my own journey, they have navigated a rough patch in life – often in midlife, and now they bear the wisdom, scars and strength of walking through situations that showed them what truly does and doesn’t matter in their lives. They’ve healed themselves from grief or transition or struggle. They’ve discovered how to use their voice. They’ve awakened to the precious finiteness of human life. And now? They’re ready to WRITE. Returning to writing after adversity has its challenges, though. Have you noticed? Clicking back into the writing goals and habits you had before simply doesn’t work. You’re not the same writer. “Success” has a new meaning to you. And if you want any hope of a deeply fulfilling, successful and happy writing life, you cannot afford to ignore these questions. To write well after adversity, you need a fresh, holistic writing practice. You also need a clear, personal roadmap – a path to confidently achieving your most meaningful writing success. You also need new writing attitudes, skills and strategies to help you go for the writing goals that matter most…without sacrificing your health, balance, finances, career or relationships – all the good stuff that nourishes your life with grit, joy and meaning. If this sounds like you, there’s a very good chance I can help you get out of your own way, get consistent with your writing and define and achieve powerful writing and publishing goals. By request, I’ve created a brand-new place for you to connect with me for proven writing tips, strategies and inspiration. Consider yourself invited to my exclusive new Facebook group: The Art of Writing Consistently. You can check it out and join us here. If you are in a hurry to stop struggling and start writing productively and happily again, you can also click here to request a call with me. I’m ready to help you get quick, life-long writing results, if we’re a match. Wherever you are on your journey, I’m here to challenge and support you. Let’s get you writing consistently. Previous post: Why Do We Write?